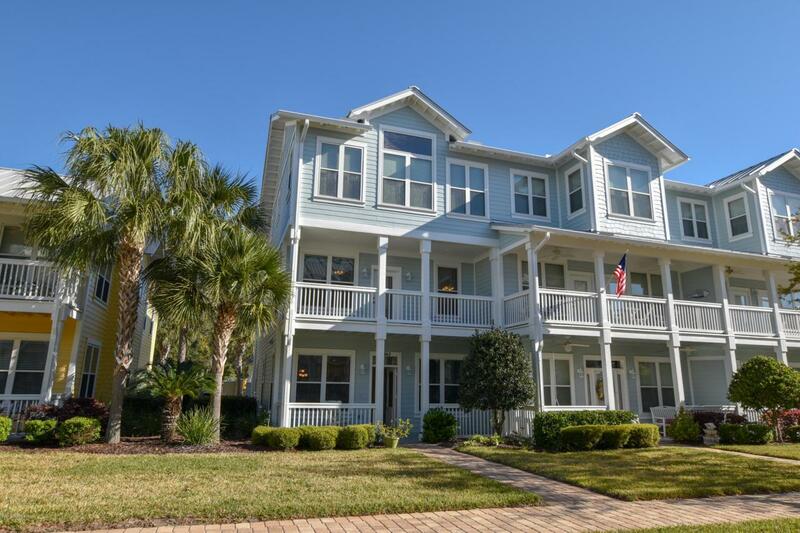 Walking distance to the beach, this popular gated community, Cape Sound, offers an inviting pool, fitness room, a clubhouse, and walking trails around the neighborhood pond. This spacious condo has 2,404 sq ft of living area, 3 bedrooms, 31/2 baths and 2-car rear entry garage. Each floor is easily accessible from stairs or private elevator. The master suite encompassing most of the 3rd floor, has giant windows, a large walk-in closet, double vanities, glassed shower and garden tub. The 2nd floor is fantastic for guests with a private balcony, 2 bedrooms, 2 baths and office/bonus space. First floor has a living and dining area, an eat-in kitchen with granite counters and stainless appliances, a powder room and an office/hobby room. Water softener and central vacuum system included. © 2019 Northeast Florida Multiple Listing Service, Inc. All rights reserved. The data relating to real estate for sale on this web site comes in part from the Internet Data Exchange (IDX) program of the Northeast Florida Multiple Listing Service, Inc. Real estate listings held by brokerage firms other than Memory Hopkins Real Estate are marked with the listing broker’s name and detailed information about such listings includes the name of the listing brokers. Data provided is deemed reliable but is not guaranteed. Data last updated 2019-04-25T00:24:21.88. © 2019 St. Augustine & St. Johns County Board of Realtors. IDX information is provided exclusively for consumers' personal, non-commercial use and may not be used for any purpose other than to identify prospective properties consumers may be interested in purchasing. Information is believed to be accurate but not guaranteed by the MLS or Memory Hopkins Real Estate. Data last updated 2019-04-24T23:30:40.053. © 2019 Daytona Beach Area Association of Realtors®, Inc.All rights reserved. IDX information is provided exclusively for consumers' personal, non-commercial use and may not be used for any purpose other than to identify prospective properties consumers may be interested in purchasing. Information is deemed reliable but is not guaranteed accurate by the MLS or Memory Hopkins Real Estate. Data last updated: 2019-04-25T00:24:36.547. © 2019 Flagler County Association of Realtors®, Inc. All rights reserved. IDX information is provided exclusively for consumers' personal, non-commercial use and may not be used for any purpose other than to identify prospective properties consumers may be interested in purchasing. Information is deemed reliable but is not guaranteed accurate by the MLS or Memory Hopkins Real Estate. Data last updated: 2019-04-24T23:45:53.5.